Higher education “disrupters” often claim that if Rip Van Winkle awoke today after 200 years, the only institutions he would recognize would be schools and churches. Transportation, technology, business, and healthcare have transformed so dramatically in the past two centuries that they would be unrecognizable. Sadly, they claim, Rip would feel perfectly comfortable in a modern liberal arts college or university classroom, listening to a lecture the same way he had two centuries ago, before he took his long nap. Critics often point to the utilitarian roots of that bastion of liberal arts education, the lecture. Books were once in short supply or prohibitively expensive, and recitation was the primary (or only) way to transfer information en masse. Today, however, students have access to entire libraries of scholarship, with just a tap or swipe. How can the college lecture remain relevant in an era of online learning, information abundance — and shorter attention spans? The idea that the college lecture has remained static, however, reflects a superficial understanding of what happens in today’s classrooms and ignores the role of faculty, who are embracing technology to transform once passive lectures into a new model of instruction: active learning. Today’s professors know that long lectures aren’t consistent with a human attention span. A typical student has a 10 to 18 minute window of optimal focus. Toward the end of 60 to 90 minute lecture, a professor can expect students to experience attention lapses (more colloquially, “zoning out,”) every 3-4 minutes, according to a 2010 study. Related: Colleges need to support low income students or risk greater economic disparity, but can it be done? How can the college lecture remain relevant in an era of online learning, information abundance — and shorter attention spans? The good news is, we’ve learned a lot about how students learn in the last 200 years. 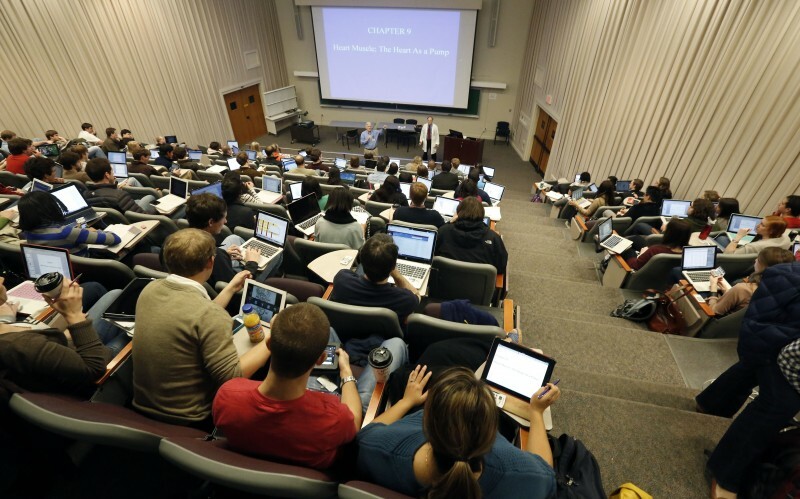 In fact, the very technologies that lead Silicon Valley to proclaim the lecture dead are having the opposite impact — mobile computing and broadband ubiquity now allow faculty to create active learning environments that optimize lectures for student attention and engagement. “Active learning” involves the incorporation of demonstrations and real-time response during the lecture – setting the stage for collaboration and engagement with content before and after class. Research shows that when students are engaged in active learning, attention lapses decrease. Students are not only less likely to zone out during the active segments, but they also have longer attention spans during the lecture following. We also know that “dual-channel processing”— receiving information both aurally and visually — is more effective than single-channel (seeing or hearing the information, but not both) for retaining information. One study found that a combination of video, audio, and presentation provided the greatest improvement in learning, compared to other multimedia options. One would be hard pressed to enter a lecture hall today where faculty weren’t teaching with graphics and presentations to accompany the lecture. In many cases, lectures are recorded so that students can return to teachable moments after class. Therein lies massive potential. Consider the case of the University of Michigan’s Perry Sampson. When he changed the name of a prerequisite meteorology course to “Extreme Weather,” enrollment jumped from 40 students per semester to over 200. Related: Are we blaming high school when college needs a reality check? In order to transfer the excitement and rapport he had in his small class to lecture setting, he developed a set of ‘lecture tools’ to encourage and track student engagement — and used lecture-capture to help students review and contextualize the notes they took in class. 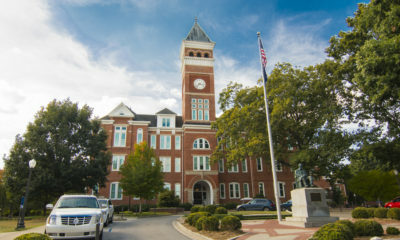 At the University of North Carolina, Vice Dean Russell Mumper flipped his classroom—using readings and short videos as the primary tool for content transfer, and using class time for more interactive engagement. All too often, college and university leaders are presented with the false choice of adopting technology, or supporting great teaching. We will always need great professors to share their deep subject matter knowledge and passion with students. But just as we have improved the way we treat illness and injury, grow food, or communicate, we have made remarkable advances in understanding of how we learn. We are entering an era where instruction is being reimagined in ways that hold the promise of advancing learning theory and putting faculty at the center of higher education’s technology revolution. Don’t write off the role of the lecture hall in the liberal arts just yet. John T. Casteen III, PhD served as president of the University of Virginia from 1990 to 2010. Former AOL executive Frederick Singer is CEO and founder of Echo360.